Thank you for visiting our blog. The Microwave Service Company is based in Sellindge, Kent and provides repairs to Domestic and Commercial Microwave Ovens. 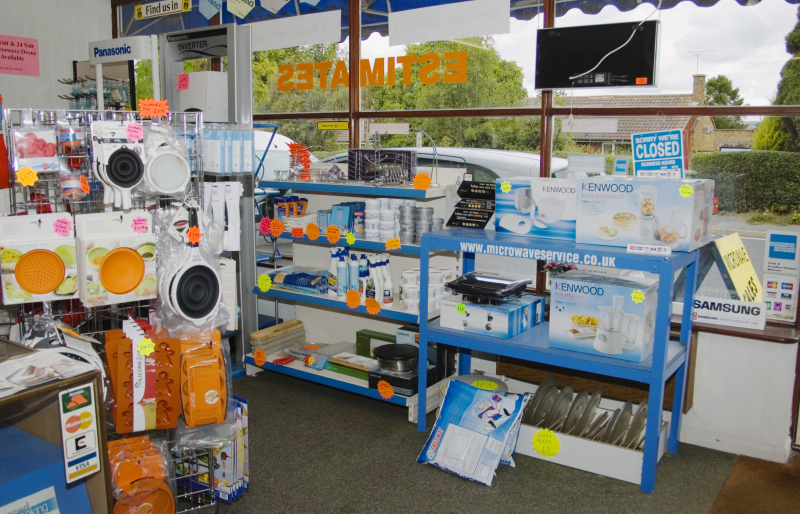 In 2006 we started an online shop at www.kitchenwareonline.com to sell the spare parts, accessories and cookware we were being asked for in our shop. We aim to keep our followers up to date with all things to do with Microwave Ovens, whether its innovations, recipes, tips or just news that loosely involves microwaves or microwave ovens. We hope to make best possible use of this blog as well as twitter and facebook to achieve that. hy, this is Sonja Hölzl from Austria. I could read that awi stopped trading. Do you know, if cms is still working? I cannot reach them, I donot know what happend. Unfortunately AWI and CMS are no longer trading. Do you require spare parts for these ovens ? If you let me know what you need I should be able to get prices for common parts for them. thanks, I´m interested in ovens. We are reseller and were customers from cms. Is there a way to get ovens like this? The ovens that are closest to this in design are Samsung around which those were based. You seem to be very knowledgeable about the old Amana Radaranges. I have researched everywhere I can think of, but cannot get a good answer at all. Back in late 1970s, we purchased two Model RR-10A Amana Touchmatic II Radaranges. This model featured the digitally controlled “Cookmatic” power level system. What made this feature so great, was it rapidly pulsed the power level to produce a very even cooking temperature, no matter what power level you selected. Of all the modern day microwaves I’ve been able to test so far, none have this fast-pulsed cookmatic feature. Even though turntables were not yet available, the cooking was very consistent and even. The modern microwaves utilize a longer pulsed time on & off system, which at lower power levels does not heat evenly. My question is, are you aware of any modern microwave oven manufacturer that utilizes a fast-pulsed power level feature similar to Amana’s old cookmatic system? I can’t see how this system would have worked to make for more even cooking. All microwaves now use various methods to help make more even cooking. Pulsing wouldn’t make it more even that I can see. The microwaves still need to be distributed around the cavity using some system of deflection.